As a tourist in London, you will probably be interested in seeing its well known symbols: The double decker, the red telephone booth, London Bridge and so on. There is no doubt that London has its particlar features and therefore, a holiday in London is a most desirable experience. All these attractions are above the earth, in the light of the sun or in the beating of the rain, if we take an overall view. Do you think you’ve seen it all? Then you should take a trip to Chislehurst and visit London’s underground, and we are not referring to a tour of the city’s subways. The world below, at which I am reffering to, can be found on a short walk from Chislehurst Railway Station, nearby Bromley, just half an hour away from London Bridge. There, 30 m below the surface of the earth you can find the place known as Chislehurst Caves, a labyrinth build by man, where you can make a link between almost every piece of English History and Culture from ancient times till present: the Saxons and the Romans, Dr. Who, Pink Floyd and Rolling Stones, the Druids, Air Raids, Shakespeare. The 22 mile maze is open for public from the 20th century and after the 45 minutes guided tour, you can find all about the cave’s history and its secrets. The earliest known mention of the tunnels dates back to 1250 A.D. Besides this, there are multiple ancient claims about the cave’s existence; even though most archeologists and historians point out that no archeological evidence exists to prove this. The cave is archeological split in three sections. The oldest, it is said to have been made back to the time of the Saxons – the 400s and 500s A.D., even though some suggest it may be older than that, just about 500 years after the time when the landmass of Britain was separated from the rest of Europe in 6500 B.C. Other tunnels are said to be built by the druids, or the Romans, after their arrival in Britain. Due to the fact that the nature of human kind is to be interested by mysteries and mysterious places, is well known, there is no surprise that it is said that this place has been used, at one point or another, by Christopher Wren, Napoleon III or Shakespeare. However, the role that Chislehurst Caves played in the First and Fecond World War is undisputable. 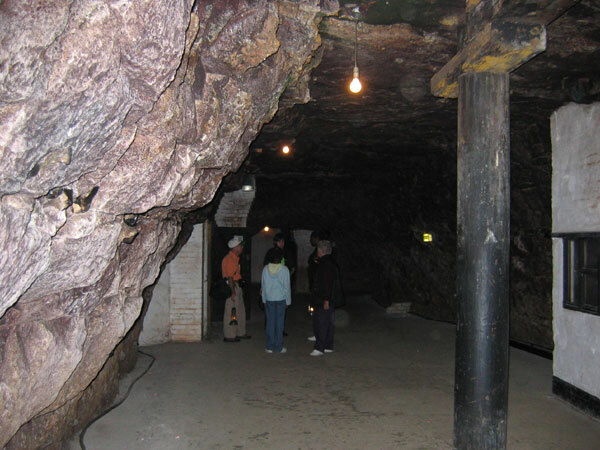 During the WWI, the caves served as a munitions storage house and in the WWII it was basically an underground city. It served as a home for 15.000 people that were looking for shelter during the air raids. A baby, Rose Cavena Wakeman, was even born here. In the last years, the caves became linked with musical and cultural events. A number of international, successful artists had concerts within Chislehurst Caves: David Bowie, the Rolling Stones, Led Zeppelin and Pink Floyd. Also, the location is preferred by movie directors that used the cave’s walls as Sets to science fiction films: “Dr. Who”, “Inseminoid”, the popular BBC series “Merlin” and many others have been shot here. If you are interested in visiting Chislehurst Caves, bear in mind that the program starts at 10:00Am and that the price of an adult ticket is £6. 247 Gatwick Airport Transfer can offer transfers from London Gatwick Airport to BR7 5NL, OLD HILL with prices starting from £55.